“We are leaving 7 seats vacant for SP, BSP and RLD. These include Mainpuri, Kannauj, Firozabad and whatever seats Mayawati ji and RLD’s Jayant ji and Ajit Singh contest from. We will also give two seats to Apna Dal – Gonda and Pilibhit, said Babbar while briefing the media. Uttar Pradesh Congress chief Raj Babbar on Sunday announced that his party has decided to leave seven Lok Sabha seats in the state for the Samajwadi Party (SP), Bahujan Samaj Party (BSP), and the Rashtriya Lok Dal (RLD). He added, “We had talked to Mahan Dal earlier. They had said they were fine with whatever seats we give them, all they wanted was to contest Vidhan Sabha election. For Lok Sabha elections they had said they’ll contest on our symbol. We’ll find out a way to work with them. Earlier, on January 13, senior Congress leader Ghulam Nabi Azad had announced that his party will be fielding candidates on all the 80 Lok Sabha seats in UP for the 2019 Lok Sabha elections. This was a day after, i.e. on January 12, the BSP and SP had officially announced their alliance for the 2019 general elections. They had kept the Congress out of the alliance. 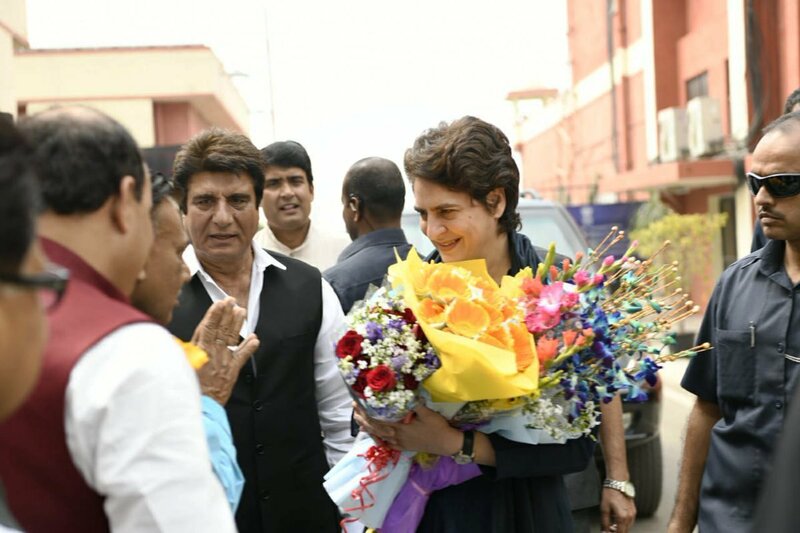 Earlier, in the morning, AICC General Secretary eastern Uttar Pradesh Priyanka Gandhi Vadra arrived in state capital Lucknow.